Today the FSF is joining a team of more than thirty organizations to rally against bulk surveillance, in a global event called The Day We Fight Back. Despite their diverse issue areas, each of these organizations recognizes that bulk surveillance is a direct threat to the freedom and security of their supporters and their ability to do work. The goal of The Day We Fight Back is to create a massive wave of phone calls and emails from citizens to legislatures around the world, demanding an end to bulk government surveillance. Please click here to contact your government. In the US legislature, we are asking that lawmakers support the USA Freedom Act, which would give people crucial protections from mass-scale government surveillance. We're also opposing the FISA Amendments Act, which is being billed as reform, but would actually strengthen bulk surveillance. Citizens of other countries are demanding an end to existing bulk surveillance programs, and demonstrating that they will not tolerate an escalation to the levels of surveillance seen in the US. The free software movement has a very important role in the battle to push back surveillance. We make the tools that are the gold standard for safeguarding digital privacy. Leaders across the privacy movement point to free programs like GnuPG as key parts of any solution. Operating through your support, the FSF is organizing within the GNU System to spur a redoubling of free software work on privacy tools, and simultaneously developing a guide to make some of these tools more accessible to the general public. But we also have to remember that free software alone is not enough to bring government surveillance into check. We need a strong, cross-movement effort that includes legislative and cultural change. So please join thousands of the FSF's followers and followers of the other organizations in this coalition, and head over to the Day We Fight Back Web site to contact your government today. 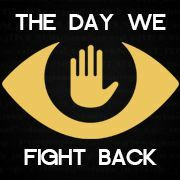 You can read this post online at https://www.fsf.org/blogs/community/free-software-fighting-back-against-bulk-surveillance. You can unsubscribe to this mailing-list by visiting the link https://crm.fsf.org/civicrm/mailing/unsubscribe?reset=1&jid=129439&qid=6868723&h=fd0361d449882c5a.